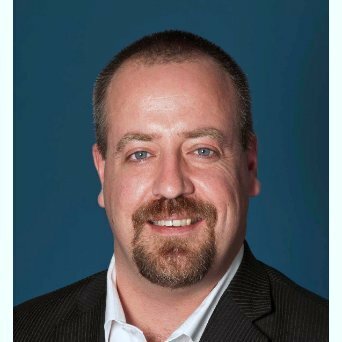 QM Environmental, a Canadian environmental and industrial services company, recently announced the appointment of Justin Sharp as Chief Executive Officer. Mr. Sharp brings more than two decades of experience in senior leadership roles, most recently as President and Chief Operating Officer of FirstOnSite Restoration, a Canadian disaster restoration company, where he led a restructuring effort to position the company for sale to a US operator, resulting in the creation of the second largest restoration firm in North America. Prior to that, he held progressive positions over almost twenty years at SNC-Lavalin, serving his last five years as Senior Vice President, Operations and Maintenance across North America, Eastern Europe, the Middle East and North Africa, where he led expansion efforts, refined product offerings to better serve the local markets and clientele, created a world-class team, and prepared the groundwork to position the company for long-term growth. Mr. Sharp holds a Bachelor of Arts degree from Saint Francis Xavier University in Nova Scotia and a Master’s degree from the University of Toronto. QM Environmental is a environmental and industrial services company with offices located across Canada. QM services include: Environmental Remediation, Demolition and Decommissioning, Hazardous Materials Abatement, Civil Earthworks, Emergency Response, Training, Waste Management and Facilities, and Water Treatment. The government of the province of Ontario, Canada recently announced $25.8 million has been allocated to the Low Carbon Innovation Fund (LCIF) as a part of the province’s Climate Change Action Plan. 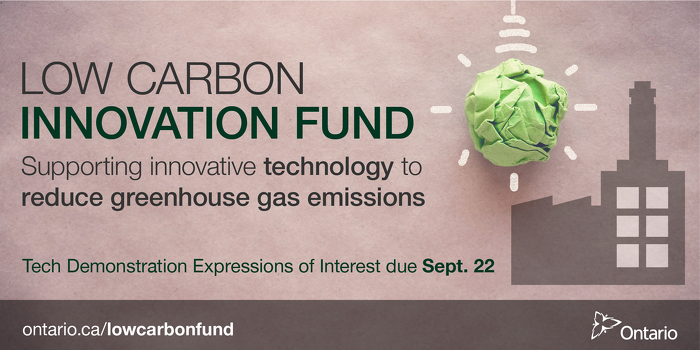 The funding will be used to support emerging, innovative technologies in areas such as alternative energy generation and conservation, new biofuels or bio-products, next-generation transportation or novel carbon capture and usage technologies. Innovative remediation projects that can prove to be low-carbon innovations will be considered for funding. The Technology Validation stream, which aims to fund proof-of-concept or prototype projects from eligible Ontario companies or academic organizations to help them get to market faster. To be eligible for LCIF, projects must be conducted in Ontario and must show significant potential to reduce greenhouse gas emissions in Ontario. Ontario’s Climate Change Action Plan is key to its achievement of its goal of cutting greenhouse gas pollution to 15 percent below 1990 levels by 2020, 37 percent below by 2030, and 80 percent below by 2050. The deadline for the first round of funding was September 24th, 2017. Notification on successful applications will be announced later this month. As reported by the CBC, Ottawa city staff are proposing to offer a developer more than $9 million in incentives to build a multi-use building with three residential towers across from the future Bayview Station light rail station, approximately 2 kilometers (one mile) west of Parliament Hill. TIP Albert GP Inc. owns the property at 900 Albert St. at the corner of Albert and City Centre Avenue, and is proposing a building that would have 1,632 residential units as well as retail and office space. The site, a one-time rail yard and later a storage yard and snow disposal site, is eligible for the city’s brownfields rehabilitation grant program. Under the program, developers can apply to have municipal development charges and soil remediation costs reduced, up to about half the expected cost of the cleanup. City staff are recommending a grant not exceeding $8,255,397 over a maximum of 10 years, according to a report tabled in advance of next week’s finance and economic development committee meeting. The property is also along the path of city sanitary and storm sewers, and for the development to go forward, the builder will have to move that infrastructure to an adjacent city property. While the developer would pay for that work to be done, the city would have to release their eight easements on the property. While normally the city would get market value from a developer for giving up those easements — an estimated $920,000 — city staff are proposing waiving that policy to make the project happen. “As this application is still under negotiation I believe it would be more prudent to measure the total monetary value to be waived against measurable features of the proposed development in its final form as ultimately presented to committee and council,” she wrote. McKenney said such features would include affordable housing and contributions to active transportation networks like cycling and walking paths. The development is not the only project being considered for a grant at next week’s committee meeting. 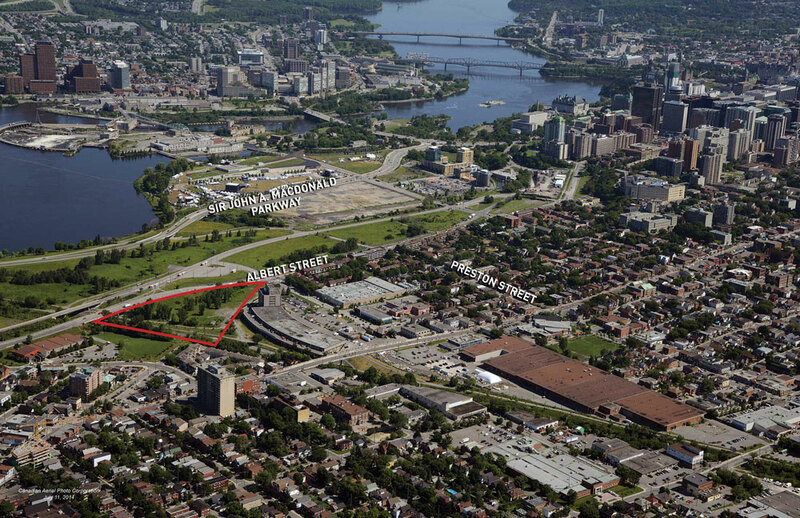 City staff are also proposing a grant of up to $2,320,420 over a maximum of 10 years to Colonnade Development Inc. to build a hotel near the Department of National Defence headquarters. That grant, for the property at 300 Moodie Dr., would come from the Bells Corners Community Improvement Plan, which aims to encourage development in the area. It would provide what would amount to a 75 per cent property tax break after the property is developed. If the development doesn’t happen, no grant would be paid. Colonnade is proposing a restaurant with a drive-thru and a six-storey, 124-room hotel. Right now, the site is home to a Salvation Army thrift store, an automotive repair garage and auto parts distributor. The finance and economic development committee will consider both proposals. The United States Environmental Protection Agency (U.S. EPA) is pre-soliciting companies interested in bidding on $100,000 grants under the Agency’s Small Business Innovation Research (SBIR) Program. Under the program, the U.S. EPA will award about 12 firm-fixed-price contracts of $100,000 each under during FY 2018 to small businesses that propose winning research proposals. The U.S. EPA has identified six topic areas of priority for feasibility-related research or R&D efforts including removal of PFOA/PFOS from drinking water, removal of PFOA/PFOS from wastewater, and remediation of PFAS-contaminated soil and sediment. The anticipated release date of the solicitation is October 17, 2017, with proposals likely due December 7, 2017. The U.S. EPA will grant the awards June 30, 2018, each with a 6-month period of performance. For more information, see http://www.epa.gov/sbir/sbir-funding-opportunities. Recently, the Toxics Use Reduction Institute (TURI), a research, education, and policy center established by the Massachusetts Toxics Use Reduction Act of 1989, published a nanomaterials fact sheet. The fact sheet is part of a series of chemical and material fact sheets developed by TURI that are intended to help Massachusetts companies, community organizations, and residents understand the use of hazardous substances and their effects on human health and the environment. The fact sheet also includes information on safer alternatives and safer use options. According to the fact sheet, TURI researchers have started a blueprint for design rules for safer nanotechnology. The design rules include five principles, which together follow the acronym SAFER, as shown below. The principles focus on aspects such as modifying physical-chemical characteristics of the material to diminish the hazard, considering alternative materials, and enclosing the material within another, less hazardous, material. The fact sheet notes that other researchers have proposed other more specific design rules, which include avoiding chemical compositions of engineered nanomaterials that contain known toxic elements, and avoiding nanomaterials with dimensions that are known to possess hazardous properties. Reduce the quantity: In situations where the above design principles cannot be used to reduce or eliminate the hazard of a nanomaterial, and continued use is necessary, investigate opportunities to use smaller quantities while still maintaining product functionality. The fact sheet provides a summary of regulations concerning nanomaterials. Massachusetts currently has no regulations specifically governing the use or release of nanomaterials. At the federal level, the U.S. Environmental Protection Agency (EPA) primarily regulates nanomaterials under the Toxic Substances Control Act. The fact sheet notes that as of 2017, companies using or manufacturing nanomaterials that have not been subject to pre-manufacture notices or significant new use rules will be subject to a one-time reporting and recordkeeping rule. 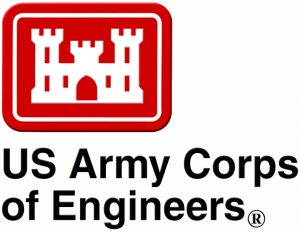 Civilian and military responders face scenarios ranging from intentional chemical attacks and accidental hazardous material (HAZMAT) releases to natural disasters and environmental monitoring or remediation efforts. Responders step on-scene with a diverse toolkit – sometimes small and other times extensive. It is critical to stay familiar with the equipment in the kit, because no single chemical detection tool can provide answers for every scenario. While some detectors only indicate the presence of a chemical, others specifically detect hazards in the presence of a complex chemical background, like a gas chromatograph mass spectrometer (GC/MS). GC/MS is an incredibly sensitive and highly specific tool commonly used in laboratory environments. It can sense trace level chemicals other equipment can’t, while also providing the ability to positively identify the chemical. But chemical emergencies don’t just happen in laboratories – they can happen anywhere. Real-time chemical detection and identification in the field is critical to the Chemical, biological, radiological, nuclear, and explosives (CBRNE) defense or HAZMAT response mission. Confirmatory chemical identification enables responders to mitigate a threat and protect people and the environment from harm. Hazmat technicians will dive into using the features that deliver lab-quality analysis. First on-scene operators will appreciate that they don’t need a Ph.D. to use it. Basic operator training is completed in only two hours, while expert training can be completed in a single day. The user interface truly sets it apart from other portable GC/MS systems. It’s streamlined design and guided controls help the user select the mode of operation. First responders must perform quickly and with limited dexterity when wearing required PPE. They are responsible for sample and data collection, and in some cases, real-time decision making. 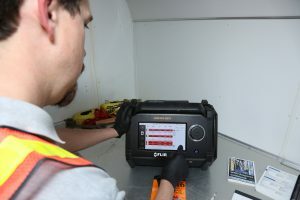 The G510 alerts the operator with visual alarm confirmation both on the handheld probe, as well as the on-board 9” touchscreen. The large touchscreen can be operated by a responder while wearing full personal protective equipment (PPE). Hazmat responders can use the Griffin G510 to analyze all phases of matter (solid, liquid, gas). 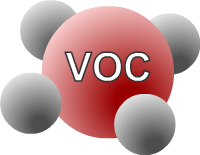 Its integrated survey mode capability identifies vapor-phase chemical threats within seconds. Its integrated split/splitless liquid injector enables responders to perform direct injection of organic liquids – an industry first. 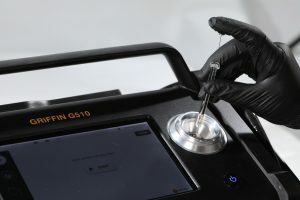 This same injector also accepts other sampling tools, including solid-phase microextraction (SPME), off-the-shelf headspace analyzers, and the Prepless Sample Introduction (PSI) Probe. 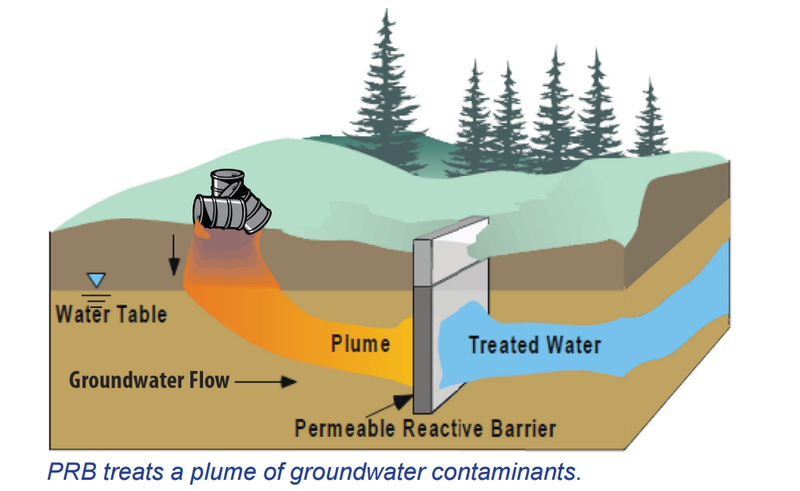 The PSI-Probe directly accepts solid samples in their native form (such as soil and water-based materials). The Griffin G510 reduces the burden of sample preparation for the operator and provides ultimate flexibility as the daily mission changes. Hazardous environments demand the ultimate toolbox include confirmatory instrumentation like GC/MS. 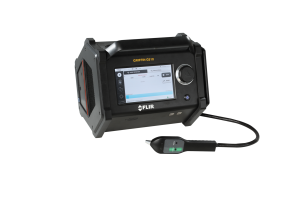 The Griffin G510 portable GC/MS redefines performance, ease of use, and value for the responder toolkit.